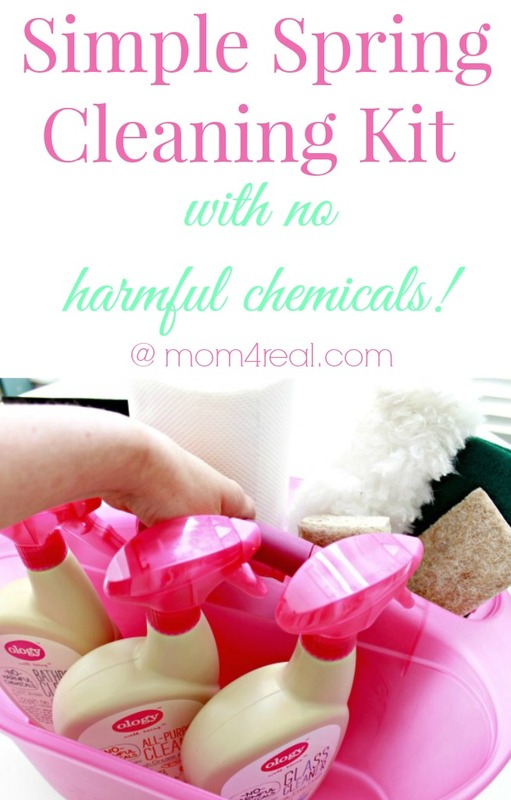 If you are a regular reader here at Mom 4 Real, then you know I am a chemical free/all natural cleaning fanatic! I make as many cleaning products as possible on my own, but to be honest, sometimes I just don’t have the time. I am sure a lot of you can understand that! 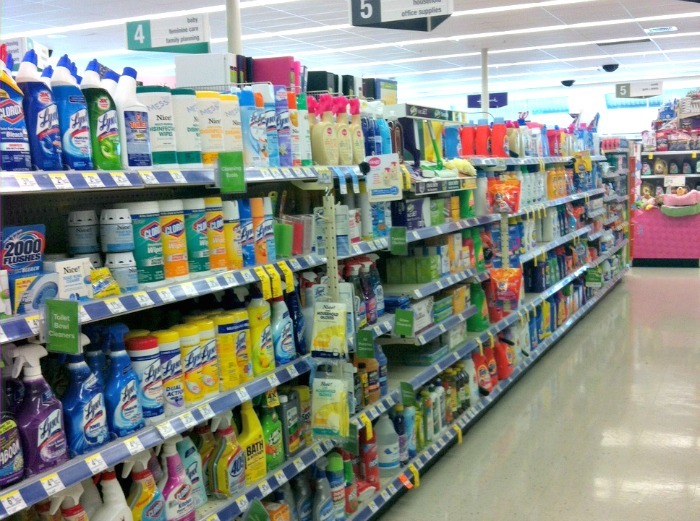 I recently found a new line of cleaning supplies with no harmful chemicals at Walgreens that can help contribute to my healthy home, and I could not be more thrilled! I decided to make a Simple Spring Cleaning Kit for my family to use to make chores just a little easier, and now I can feel good about letting my kids help out since they are so safe! 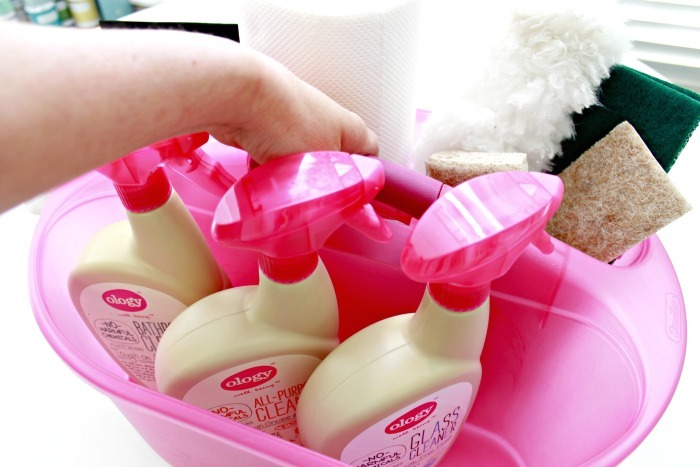 I gathered the cleaning supplies along with a duster, some paper towels and a white microfiber cloth, in a cute pink caddie and placed it under our kitchen sink so whoever is doing cleaning can just pick it up and go! I feel really good about spraying my sink down and not worrying about missing a spot when I wipe it clean. 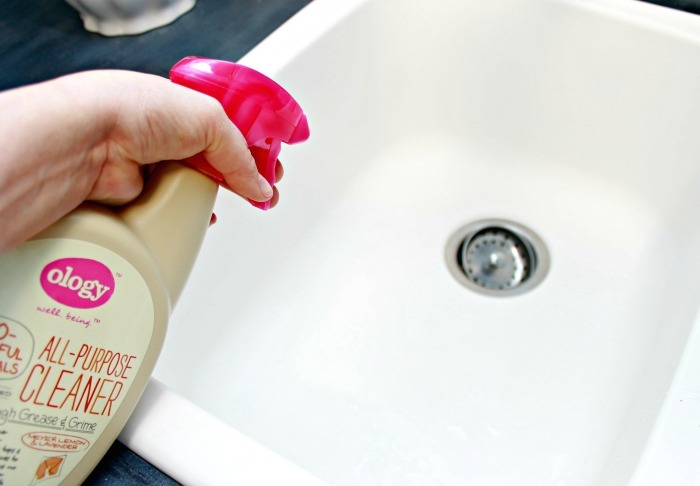 No harmful chemicals are left behind, and my sink is still clean! 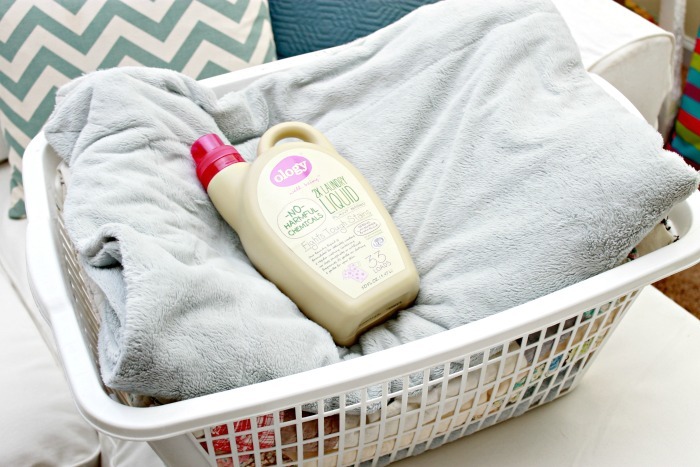 I absolutely love the laundry detergent with the faint smell of lavender and vanilla! It’s not overwhelming like some detergents can be, just nice. So, I’m sure you are wondering where to find your own…right? No worries…they sell them at Walgreen’s. Theya re actually a Walgreen Co. product, which is fabulous! You can watch this awesome video about the Ology products, HERE! This post is brought to you by #WalgreensOlogy and #CollectiveBias. All opinions and photos are 100% mine! 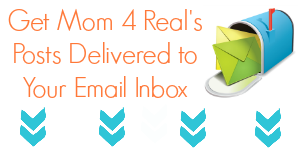 As a promise to my readers, I only post about products I have reviewed and absolutely love! 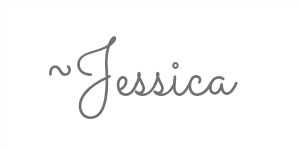 « My Craft Room Tour & More Blogger Tours!